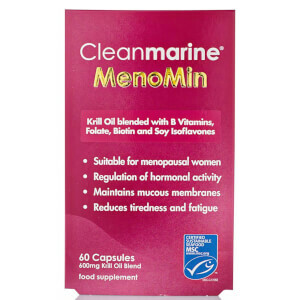 Discover the range of sustainable health supplements from Cleanmarine Krill here at Mankind. 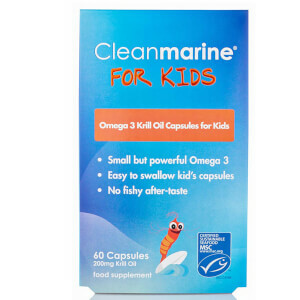 Founded in 1996, Leeds based company Cleanmarine Krill offer some of the highest quality nutritional oil supplements. 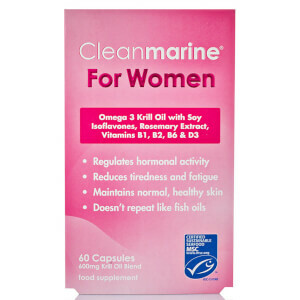 This particular range is made with Krill oil due to its range of incredible health benefits. Krill are shrimp-like crustaceans which live in the ocean. Measuring around 2 inches in length and weighing around the same as a paperclip, the health benefits provided by them is almost unbelievable. With large black eyes, they have a hard exoskeleton which is mainly translucent with a red tinge. They have a segmented body and many legs for searching for food and swimming. 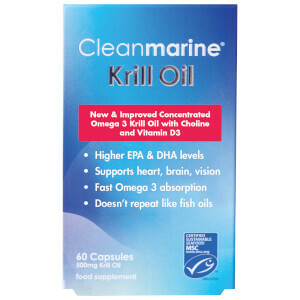 The Cleanmarine Krill Oil Gel Capsules are an easy-to-consume food supplement which provides essential Omega 3 acids. 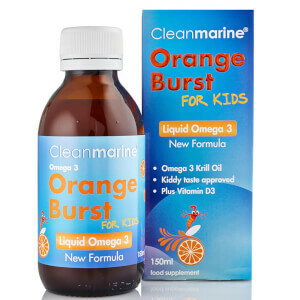 They are a more sustainable and ethical source of Omega 3 compared to fish oil. Krill oil is also bound to phospholipids, which are a major component of human cell membranes. This allows the body to absorb the oil more quickly. By regularly taking these supplements, it improves blood pressure, a healthy heart, brain, eyes and joint function. On top of this, it also helps to improve concentration and enhance mood. These capsules are also rich in astaxanthin which is a natural antioxidant to prevent premature ageing. If that’s not enough, they don’t leave a fishy aftertaste either.